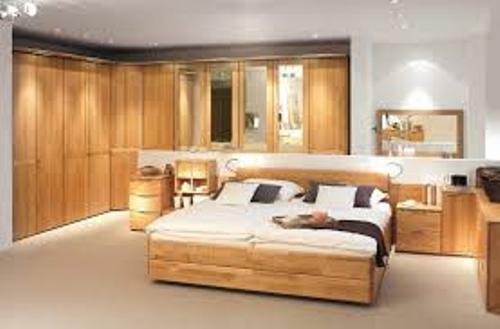 Check the following tips on how to arrange a bedroom with big furniture in the below post. The big furniture is not a good thing to have if the space is very small. It will create a crowded and cramped feeling in the bedroom. Before you begin the redecorating process and arrangement in the bedroom, define the layout first. Don’t fill the entire wall with a lot of furniture pieces. The short wall can feature one furniture piece, while the long wall can feature two or three smaller furniture pieces. Therefore, you will never evoke the overwhelming look in the bedroom. The first thing to conduct is determining the number of furniture pieces to have in the bedroom. Keep the important furniture pieces in the bedroom. The unimportant ones that you only use for the decorative purpose should be removed. You can focus more on the function than on the decorative aspect. It is recommended for you to have a bed, a dresser and a side table or nightstand. The bed frame is considered as the primary item in the bedroom. You have to locate this piece first before you set the dresser and nightstand. Set it against the wall. It should be far away from the door. The headboard can be located below the window. The entryway of the door and closet should not be blocked by the placement of the bed. It is okay to choose a big nightstand for a bedroom. Locate it in the middle of the bed and wall. Don’t use two nightstands in the bedroom for both can evoke cramped feeling? Put a stylish table lamp or a vase of flower on the top of the nightstand. Provide a stylish balance in a bedroom with big furniture by having a cute chair. Place this piece opposite the bed. You can choose a classic French armchair or a modern swivel chair depending on the bedroom interior design. Get ways on how to arrange bedroom with bay windows here. The bedroom with big furniture pieces will never look restricted if you can maintain the clutter. The non essential items, knickknacks and laundry hampers should be removed from the bedroom. Le’s check ideas on how to arrange bedroom with a couch here. Are you fascinated after reading tips on how to arrange a bedroom with big furniture?